The accusation rocked Trenton: A top official in Gov. Philip D. Murphy’s administration claimed that another official had sexually assaulted her during Mr. Murphy’s campaign in 2017. 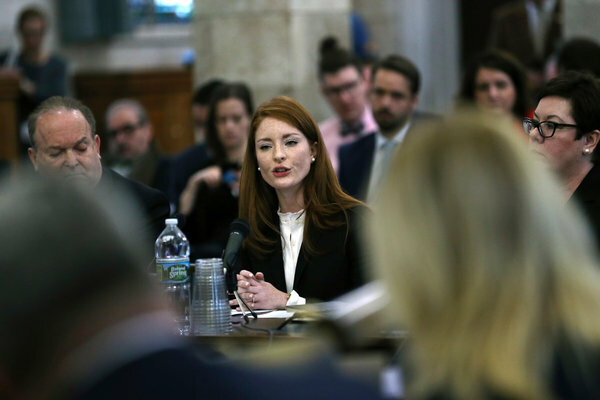 Yet despite the woman’s repeated pleas to Mr. Murphy’s senior aides, her colleague remained in his $170,000-a-year state job for months before resigning. Mr. Murphy said he did not know about the assault accusation by Katie Brennan against Albert J. Alvarez before it became public and that his administration had technically done nothing wrong. The legislature launched an investigation, while the governor opened a separate review by an outside counsel. Now, five months later, one simple, yet significant, question remains a head scratching mystery: Who hired Mr. Alvarez? It is one of several questions in a slow-boil scandal that has revealed the inner workings and shortcomings of New Jersey state government. Everyone from the governor to top aides have denied — under oath — having hired Mr. Alvarez, who has denied the accusation. Even Peter Verniero, a former state Supreme Court justice enlisted by the Murphy administration to conduct an outside review was unable to determine who hired Mr. Alvarez. It seems implausible that no one can say who hired Mr. Alvarez. Indeed, state legislators are growing increasingly skeptical that a sitting governor cannot figure out who on his staff approved a high-level hiring. Republicans on the committee investigating Ms. Brennan’s case have called on Mr. Murphy to testify. Mr. Alvarez got a top position as chief of staff at the Schools Development Authority even though he had already been accused by Ms. Brennan. His hire has also raised broader questions about the hiring practices of Mr. Murphy’s transition team and whether other officials who cultivated close ties with the governor during the campaign ended up with high-paying state jobs with little vetting. Mr. Murphy has said that he “accepted responsibility” for his administration’s response to Ms. Brennan’s accusation and would not punish aides for following what they thought current state policy said was the proper course of action. Matt Platkin, Mr. Murphy’s chief counsel, advised numerous members of Mr. Murphy’s inner circle not to tell the governor about Ms. Brennan’s claim because of confidentiality restrictions emphasizing the need to keep personnel investigations private. The state recently recommended numerous changes to how it handles sexual misconduct cases, including expanding the state’s jurisdiction to investigate claims of sexual harassment and assault. But it did not address the confidentiality restrictions. Why hasn’t this been national news? 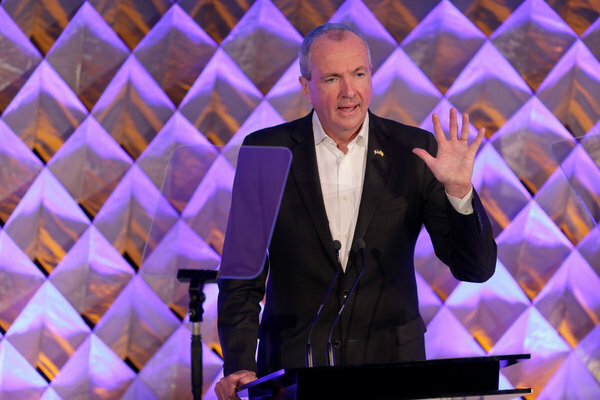 The accusation and ensuing scandal threatened to halt the liberal agenda of Mr. Murphy, who pledged to steer the state sharply to the left after eight years of Republican leadership under Chris Christie. And it seemed likely to spill beyond the confines of Trenton; a #metoo allegation rooted not in the halls of media or Hollywood but in the inner sanctum of a progressive administration that sought to be a champion for women’s rights. Yet it never seemed to grab the energy pulsing through the national reckoning over sexual assault and harassment, in part because, aside from Ms. Brennan’s wrenching testimony, no smoking gun has emerged. “So far, the only culpability possibly ascribed to the governor himself is having put together a leadership team that seems to not yet have clear lines of authority for hiring or crisis management or communication,” said John Weingart, the associate director of the Eagleton Institute of Politics at Rutgers University. While Mr. Murphy has sought to avoid blame for the handling of the accusation, he has embraced Ms. Brennan’s claim as credible. And over many days of testimony in the legislature, no one has contradicted the administration’s explanations. Much of the recent testimony, in fact, has become repetitive. Nearly every member of Mr. Murphy’s inner circle has been called to testify. Mr. Platkin emerged as a central character. He was one of the first among Mr. Murphy’s senior aides whom Ms. Brennan contacted to raise her accusation. He said he did not tell the governor early on because he did not want to violate confidentiality rules and instructed other top aides to do the same. In June 2018, when Ms. Brennan reached out directly to Mr. Murphy in an email, saying she wanted to discuss a “sensitive matter” with the governor and his wife, Mr. Murphy responded by saying that they were “on it.” The governor forwarded Ms. Brennan’s message to Mr. Platkin and Jonathan Berkon, the lawyer for his campaign. Mr. Platkin then told Mr. Berkon the details of the accusation and worked with him on how best to respond. Mr. Platkin also reached out to Charlie McKenna, who was then Mr. Alvarez’s boss, and told Mr. McKenna to instruct Mr. Alvarez to “step back” from his position. Pete Cammarano, Mr. Murphy’s recently-departed chief of staff, told legislators that he called Mr. Alvarez into his office last March and told him he should begin looking for another job, though he stopped short of firing him. Mr. Alvarez resigned last October after being contacted by a reporter for The Wall Street Journal about Ms. Brennan’s accusation. Though Mr. Verniero’s report found no wrongdoing by the Murphy administration and many key players in Mr. Murphy’s administration have testified, the matter is not closed. Loretta Weinberg, a Democratic state senator and one of the chairs of the committee investigating the case, has suggested that the committee’s work would continue and said she was disappointed with Mr. Verniero’s report. “It fails to meet any reasonable standard for an investigation into the serious allegations of sexual assault, the screening practices for hiring public employees, the failure to take responsibility by key officials, the continued failure to find out what went wrong and the reasons why no real actions were taken to address the plight of the alleged assault survivor,” Ms. Weinberg said in a statement. Ms. Brennan has also sued the state and Mr. Alvarez.